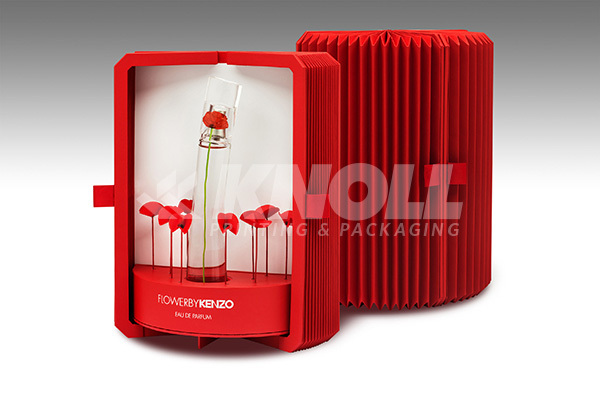 Products – Unique - Knoll Printing & Packaging Inc.
"Theater" cardboard coffret, origami paper doors, custom red EVA foam holds bottle and flowers in place. 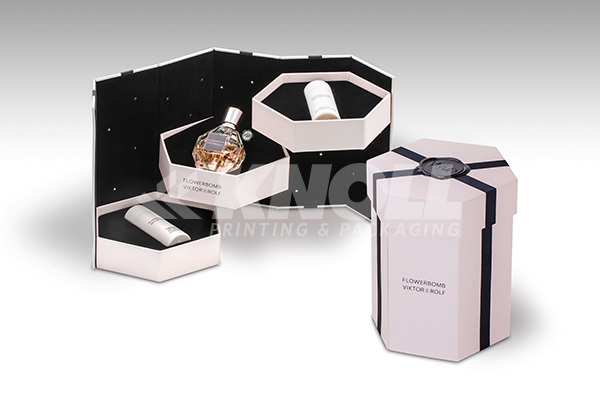 "Best Perfume & Cosmetics coffret" and the "Special Jury Award"
Cardboard hexagonal coffret wrapped with custom pearl paper, lined with black velvet and embedded "gemstones". 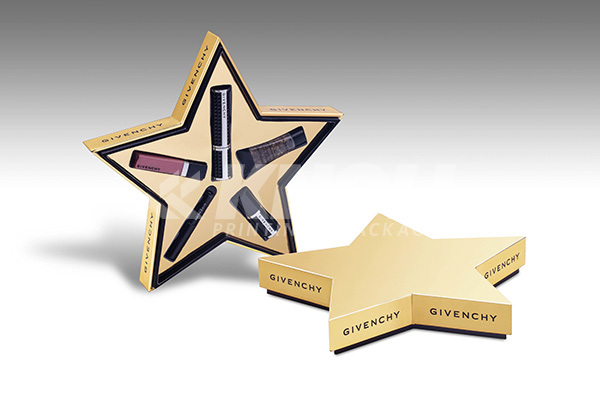 Star shape coffret, wrapped with gold mylar, Givenchy logo printed on sides. Inside five makeup products are presented. 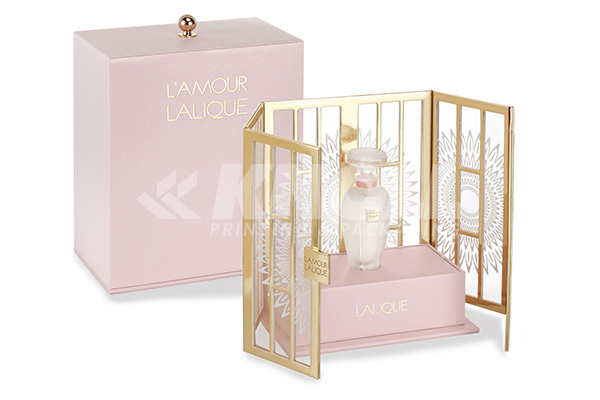 Cardboard coffret wrapped with pink satin, doors lined with gold mylar and organza white with silkscreen deco. Laureate Luxury category at l'Oscar de l'Emballage. These rounds with open arches are technically superb. Handmade by our highly skilled factory team in board and wrapped with embossed pearl paper, the finish is perfect. The product is presented inside the arch, held by flocked vacuumforms, and highlighted with gold stamped deco. 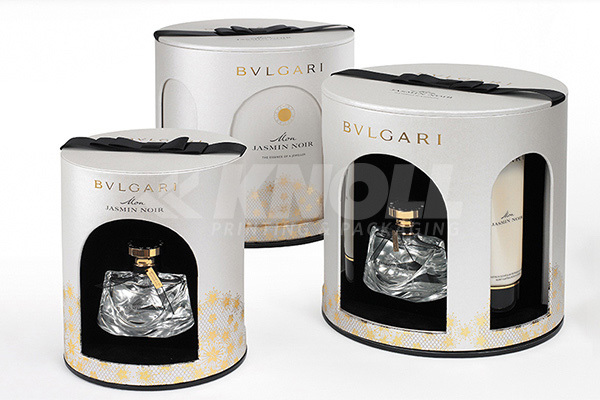 The deluxe version is exceptional because the outer shell rotates to reveal the products hidden inside. Products are placed in velvety black vacuumforms centered in individual arches. Golden decoration on pearl embossed personnalized paper. A most unique coffret, this Dollhouse design made from 72 components including board and plastic injection molded stairs. The entire Dollhouse is wrapped in a pearl embossed paper. When closed the product sits perfectly behind a window creating curiosity and excitement. These are triangular and tiered boxes. The triangle box, when closed creates a perfect square, opens to reveal products on both sides, resting in EVA foam, wrapped in a customer faux suede. 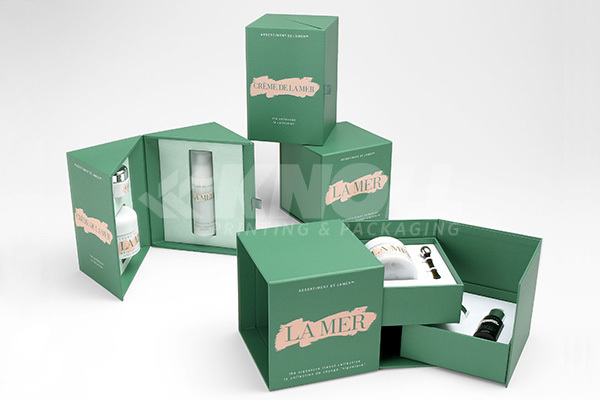 The tiered box contains two trays which sit inside an outer cover and can swing out to reveal the products.